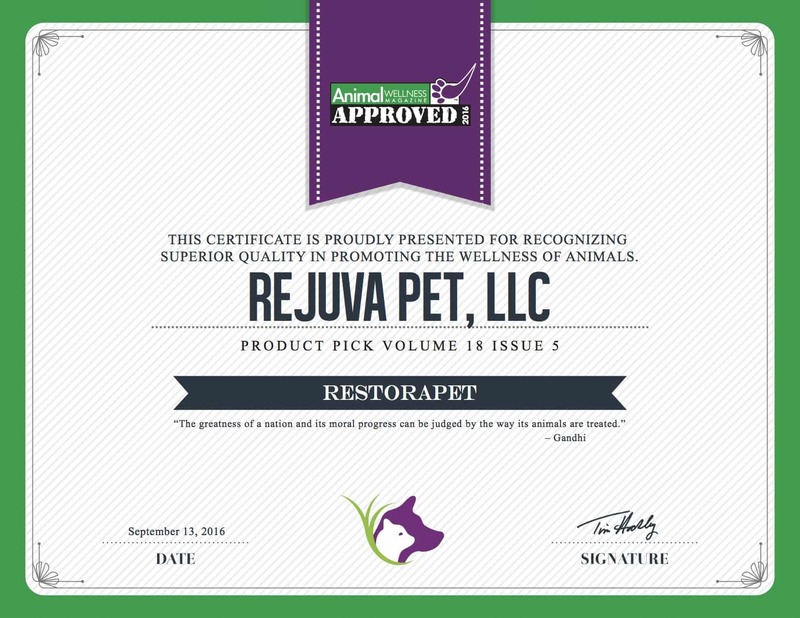 RestoraPet Receives Animal Wellness Magazine’s Coveted “Product Pick” Award! We’re extremely proud to announce that RestoraPet has received the coveted “Product Pick” award in this month’s issue of Animal Wellness Magazine! Get Two Bottles of RestoraPet FREE With Our New Team RestoraPet Program!